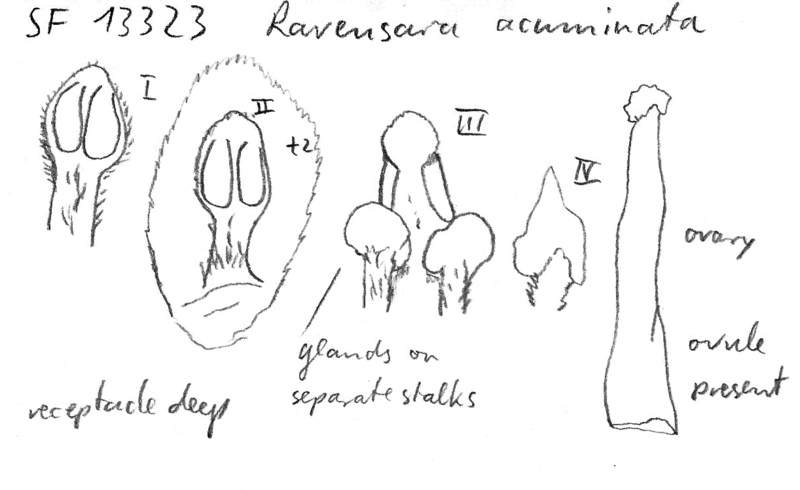 Ravensara acuminata (Willd. ex Meisn.) Baill. van der Werff 2008, Adansonia, sér. 3, 30: 44. Baillon obviously intended to place this species in Ravensara. Still it can be dicussed if this represents a valid new combination.